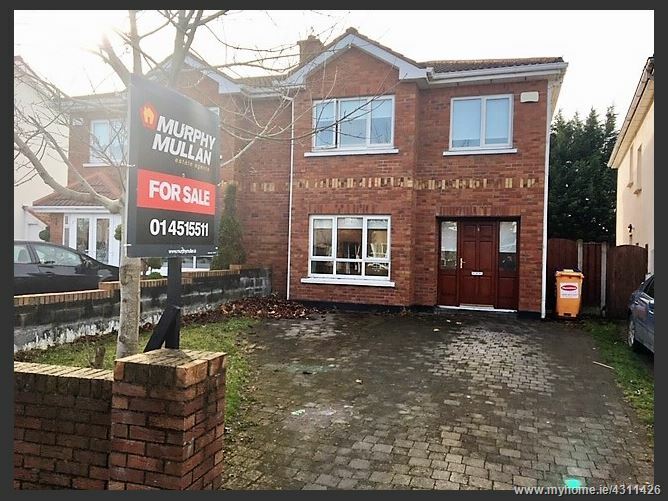 Murphy Mullan Estate Agents are delighted to present to the market this stunning 4 bed family home with the added bonus of been extended at the rear. Located in a quiet cul de sac in the popular Carrigmore Estate. Rarely does a property of this calibre come to the market and viewers will not be disappointed. Spanning c. Just over 1450 Sq ft of well proportioned and versatile accommodation, this home is wonderfully presented throughout and is finished to a high standard of specification, sure to please even the most discerning of buyers. This property has a host of features sure to appeal to those looking to set up a new home such as a large sitting room, double glazed windows & doors, superb open plan kitchen/dining room with double doors leading out to a wonderful rear garden, 4 bedrooms (master en-suite) all bedrooms are complete with fitted wardrobes, downstairs W.C and separate utility room. To the front there is parking for two cars. Ideally located with all amenities nearby to include the newly built Carrigmore Park, Citywest Shopping Centre & Business Park and The Square Shopping Centre is only a short drive away. Saggart Village is also conveniently located nearby providing local shops, schools, churches and eateries. There is ease of access to all the major road networks, the N7, N81 and M50 are all in close proximity while public transport is well catered for via the many bus services and Luas line on its doorstep making the city centre easily accessible. Utility room with side door to rear and plumbed for washing machine. Bed 4: Built in wardrobes with Timber flooring. Family Bathroom; Part tiled with electric shower. Front drive way is cobble locked walled with drive in for up to 2 cars.